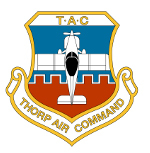 Thorp Air Command - T18.net • View topic - KVIS??? Thanks everyone who has RSVP already, keep em coming. Ira...a little red lip stick and some eye shadow and I'll take you anywhere !! Dan, ya gota choose your words carefully, it's a tough crowd here. Ira, watch out for those navy guys. Bruce and Diane are booked at the Visalia Sequoia (Comfort Inn), arriving some time Fri, God willin and the smoke clears, the Puget Sound area is covered this morning, some airports are IFR do to low vis. Dear Bruce : It might be a good idea to read the reviews for the Visalia Sequoia Inn (the old Comfort Inn) . From the reviews it is not what we have been use to at the Comfort Inn . Several of us have book next door at the Wyndham Visalia . Looks like I'm single ship. MK has prior commitments.